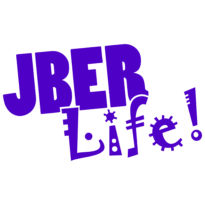 Education Center | JBER Life! To facilitate academic achievement, the base hosts four colleges that offer a wide variety of undergraduate and graduate programs: Central Texas College, Embry-Riddle Aeronautical University, University of Alaska Anchorage, and Wayland Baptist University. In addition, the ETS Office provides career, commissioning, and Community College of the Air Force counseling. Active-duty Airmen must apply for tuition assistance (TA) through the Air Force Virtual Education Center. Information on supplemental funding, such as federal student aid, scholarships, and the GI Bill, is also available. In addition, the JBER Library, has publications called Financial Aid for Veterans, Military Personnel, and Families that is available to assist with scholarships, grants and loans. Spouses may be eligible for supplemental funding through spouse tuition assistance programs, such as MyCAA, the Air Force Aid Society Arnold Education Grant, and the Air Force Association Donley Spouse Scholarship. The Education and Training Services Center (ETS) serves as the hub for all military testing, to include CDC, PME, DLAB/DLPT, WAPS, AFOQT, AFCT, and JST exams. The CLEP/DANTES testing program is administered by both Wayland Baptist University and the University of Alaska Anchorage. Both the Base and Formal Training programs are managed by the ETS. The Education Center assists Airmen and family members in meeting their personal and professional development goals through a variety of educational, training, and testing programs.